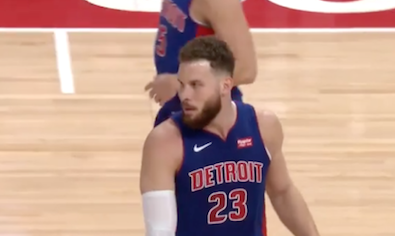 If the Pistons have even a chance to win the first round of the NBA playoffs against Milwaukee, they will need dominant performances from two big guys with beards. But a matchup challenge against a potential MVP and a nagging injury to Detroit’s best player could dash hope for even one victory. Those whiskered stars are 6-foot-11 center Andre Drummond, their best rebounder, and 6-10 forward Blake Griffin, their best scorer. Drummond’s play has improved notably this season under first-year coach Dwane Casey. He averages 15.6 rebounds per game. But Griffin’s production recently has declined due to a damaged left knee and what may be fatigue. He averages 24.5 points. Griffin’s availability is uncertain for Sunday’s opener of the best-of-seven series in Milwaukee. The Bucks feature the versatile 6-11 Gianis Antetokounmpo, again a candidate for Most Valuable Player. Antetokounmpo averages 27.7 points and 12.5 rebounds. If he can be countered, Drummond may have to prove that -- at age 25 and in his sixth season -- he has risen to the elite level. The Bucks (60-22) are seeded first in the Eastern Conference. The Pistons (41-41) are seeded eighth. During the regular season, they played four times and Milwaukee won them all. 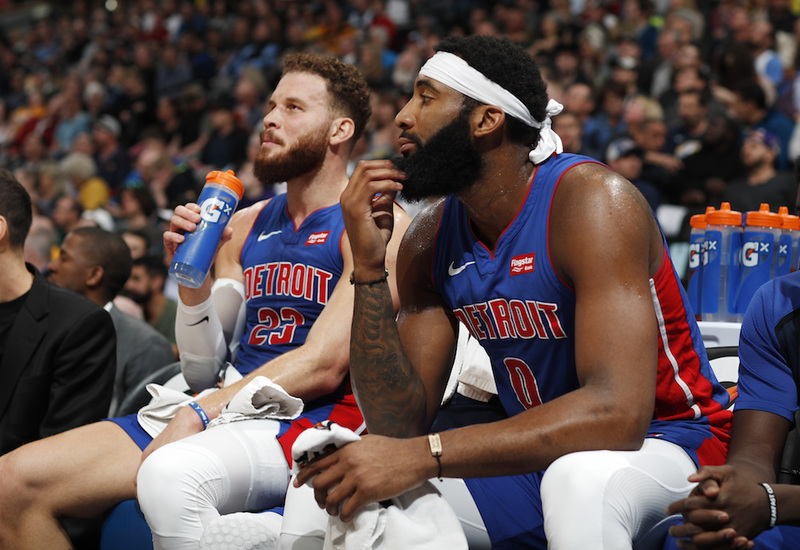 When Detroit defeated New York, 115-89, Wednesday night in the regular-season finale, the Pistons still had a chance for a better post-season matchup. Had Charlotte defeated Orlando, the Pistons would have been seeded seventh and would have faced second-seeded Toronto, a team they beat three times in three tries. That would have been intriguing in part because the Raptors fired Casey last season when he was voted Coach of the Year and in part because many fans from nearby Ontario tend to visit Little Caesars Arena in Detroit. This allows two distinctly different bands of fans to roar and chant at each other for more than two hours. But, because the Magic defeated the Hornets Wednesday, Orlando finished seventh and will face the Raptors. If Griffin can play against the Bucks, he might present challenges for both teams. An old-school post player who crashes into big men below the basket and also hits three-point shots from long range, Griffin plays with grim intensity. He often lands on the floor in fights for loose balls. But when the ball is in his hands and he becomes determined to win one-on-one or one-on-two or even one-on-three battles, his teammates sometimes stand around and watch while the defense collapses around him. It sometimes seems as if Casey’s team-wide directive to “kick” it out to the perimeter falls on Griffin’s deaf ears. In addition, Griffin sometimes hurts his cause by complaining to game officials and drawing technical fouls. As for Drummond, he dominated the boards Wednesday night in the 115-89 victory in New York. This clinched Detroit’s first playoff berth since 2016 and gave the Pistons the right to try for their first post-season victory since 2008. Among Drummond’s improvements: He’s slightly better at free throws, especially under late-game pressure. He’s stealing the ball more than many centers and he’s “protecting the rim” from aggressive foes with his shot-blocking threat. But Drummond doesn’t shoot well from the outside, although Casey insists this part of his game will still develop. And Drummond also tends to get into foul trouble early. The other key member of the starting five is guard Reggie Jackson, whose repertoire of circus shots can be entertaining. Rookie Bruce Brown is probably the best defender on a team not known for defense. Veteran Wayne Ellington – a midseason addition – brings a smooth shooting touch. But the second unit – used effectively by Casey – contributed greatly to a late-season spurt of 13-3 that lifted the Pistons into contention. Key to this group are guards Ish Smith and Luke Kennard. Smith, Casey says, “plays with a pure heart.” He shows speed and savvy and makes teammates better. Kennard – Luke from Duke – is a second-year man who led Wednesday’s clincher with 27 points, many from three-point range. When Kennard is Hot Hand Luke, his energy takes over a game. But when he goes Cold Hand Luke, the momentum can go the other way in a hurry. Casey constantly says that Kennard can and will develop other skills beyond a pretty shooting stroke. Down the bench, Glen Robinson III and Langston Galloway are making contributions as is Zaza Pachulia, who is big and old and mean. But the quintessential Piston – in certain ways -- may be Thon Maker, a midseason acquisition from Milwaukee by way of South Sudan, Australia, Canada and the United States. He stands 7-1 and weighs an alleged 221. But he’s 22 years old, or so they say, and probably still growing. Maker backs up Drummond and Griffin. He plays with joy and spirit but not the best of hands for catching the ball. He gets knocked around by guys who greatly outweigh him. He crashes to the floor and gets up for more. Don’t expect Maker to lead an upset of his old team, although that would be quite a storyline. Like his new teammates, Maker is not the best defender, either. But he tries his best and plays with zest. Like his team, he is not quite ripe, hardly a finished product, but sometimes fun to watch.